Albany, New York is full of centuries-old history to uncover, scenic waterways to adventure, an evolving culinary scene to savor and breathtaking sights to discover. Albany County is conveniently located a quick drive or train trip from New York City, so it is an accessible and affordable destination. Visitors can enjoy four unique seasons of free festivals and events, historic sites, unique attractions, restaurants and much more. The festival season in Albany kicks off with the city’s signature event, the Albany Tulip Festival, in historic Washington Park. 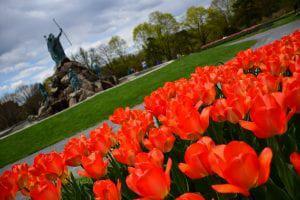 Held over Mother’s Day weekend, the festival celebrates Albany’s rich Dutch heritage with live music, craft vendors, the crowning of the Tulip Queen and more, against a backdrop of more than 140,000 tulips. 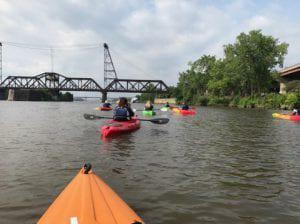 If you are an outdoor adventurer, embark on a paddling adventure with Upstate Kayak Rentals. Rent a kayak at the Albany hub located at the Corning Preserve Boat Launch and enjoy the city from a different riverside perspective. Take a bite out of Albany on the Historic Downtown Albany Food Tour by Taste of Troy Food Tours, offered every Friday afternoon from May to October. This guided walking tour showcases historic facts and city landmarks, punctuated by tastes and sips from restaurants spicing up the downtown culinary scene. For sports fans, the Times Union Center is hosting the inaugural Aurora Games on August 20 - 25. The international women’s sporting event is designed to celebrate the best in women’s sports, entertainment and culture by welcoming all-star athletes from more than 15 countries. Whether you are a history buff, adventure enthusiast, foodie, or someone just looking for a weekend getaway, Albany, NY offers an event or activity that everyone will enjoy. Visit the Discover Albany Events Calendar for more details and to start planning your trip today: https://www.albany.org/things-to-do/events-calendar/.